The ‘Not A Political Party’ Party? 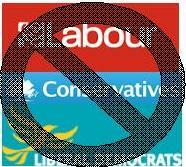 A comment from Mike on my previous post “Altogether rather grubby” discussed the idea of forming a party for independents that offers some form of cohesion and organisation, without needing the members to sign up to set policies and actions. I’ll let Mike explain his idea. “But ‘party’ can also simply mean “a group of persons working together”. If that group was not necessarily united in opinion about state and its affairs, it would be an ‘apolitical’ party. It would be politically neutral. So what would hold it together? Well, clearly not the cement of political creed or party dogma. But it would have to share some aims, objectives or beliefs. I’d be really interested to see what you all think – would an ‘alliance’ of independent MPs be a good idea, or even workable? But I’ll offer my view it as well. Quite simply, I think this is EXACTLY what is needed. My original view when I set up this blog was to eventually form an alliance or a network or some form of organised group to support independent candidates and ultimately MPs. I intentionally avoided the word party and I still think that this is wrong choice of word – however I agree with the sentiment. Campaigning for and winning a seat in Parliament can be a very expensive and labour intensive. That is why most people with any ambition to be an MP join a political party as it is the parties that can provide the finances and organisation needed. However, to be selected to stand for election you need to be a ‘good’ party member, so you become part of the party machine and most of the independent spirit is knocked out of you – or they choose people for whom it wasn’t there in the first place. So we get more people elected that are just part of the same club – no matter which party they represent. My view is that in a democracy that is based on local constituencies, then we should choose an MP that represents that local constituency – not one that represents the party that funded their election campaign. In fact, we speak with disdain of politicians [especially US politicians] that once elected provide pay-back to the people that funded their campaign. In our party system many MPs do exactly that – at the expense of their local constituents. So I think we need to create a system, group, collection, faction, troupe [Ed – okay, put the thesaurus down now] – whatever we want to call it that can help candidates get elected, but leave them free to work for their local constituency. The Independent Network seems to want to offer some of that, but probably for reasons of resources (time and money) sets its ambitions too low. But I do agree that we should create ‘The ‘Not A Political Party’ Party’. Obviously it won’t happen in time for this election, but it is something I believe strongly in – so watch this space! Reading through the blog from the Independent Network I came across a post from back in November which outlines the key principles that they want all independent MPs to follow. The principles follow an initial draft by Martin Bell and have then been finalised and adopted by the Independent Network. Of course the Seven Principles of Public Life produced by Lord Nolan are the basis for the guiding principles of the Independent Network – but they also look to take Lord Nolan’s ideas much further. You can read the original post here, but it’s worth repeating all the principles anyway. • claim expenses, salaries and compensation openly so the public can judge the value for money of our activities. I’m not sure how anyone with any true feelings for the independence of MPs could argue with any of these principles (although I’m sure that there will be some people wanting to ‘discuss’ the final wording). So, who wants to sign up and follow those principles? UPDATE: I have now been contacted by someone from The Jury Team. He said he sent me an email on 30th Nov, although I didn’t receive it. So if I have mis-represented their desire to get in touch I apologise. After the recent BBC1 programme called Make me an MP I wrote a post called The Jury Team fails to ‘Make Me an MP’ and I was pleased to receive comments from someone who had been involved in the campaign to get John Smeaton elected. And that is at the nub of my suspicion of The Jury Team – it looks to me that it is a political party trying to enter politics almost by the back door. It claims to support independents, but instead I feel that it wants unaffiliated candidates and wants to build a party that way. Obviously very different from truly supporting independents. And someone, claiming to be able to get in touch with The Jury Team got in touch and we exchanged emails offline and then … well … nothing. So this is an open request to The Jury Team to get in touch so we can discuss how we could support each (if they genuinely want independent MPs). So, last night’s Question Time on the BBC featured Nick Griffin, the leader of the BNP. I’m sure you knew that anyway, there was a huge amount of controversy over whether he should be allowed to appear. I think he should have been on. Whether we like it or nor his party currently represents two constituencies in the European Parliament and receives significant numbers of votes at elections of every type. But beyond that, restricting the free speech of someone we don’t like is a slippery slope that leads to the sort of politics the BNP peddles. But once he was there, how did he do? To be honest I was disappointed with him. Given that he has over the last few years given the BNP electorial credibility I was expecting someone who was a skilled and clever politician. In the end he came across as nervous, evasive and at times scared. The rest of the panel and the bulk of the audience was clearly strongly against him, however they didn’t go for the kill in the way that I thought they might. Yet Griffin showed himself to be ill at ease in the situation while his use of language was clumsy and awkward and he seemed to possess no rhetorical skill. Instead, he seemed to catch himself out more often than the rest of the panel did and his attempts to laugh off some of his previous quotes, or to join in with a perceived bonhomie on the panel looked very distasteful. There was one incident when he seemed to pat Bonnie Greer on the back that was particularly unnerving. That said, I was also very unimpressed with Jack Straw on the panel. He seemed to want to attack the BNP rather than offer a real alternative to its voters. He talked a lot without saying anything and on the subject of immigration, which Baroness Warsi rightly said needed an honest debate, he was at his most evasive. The person that actually came across best on the show was the non-politician and that was Bonnie Greer. She was rightfully dismissive of the BNP’s views without resorting to personal attacks. But what this all shows to me is that although I find the BNP’s politics completely abhorent, the major parties are not addressing some of the major issues and grievances felt by the electorate. Those people are seeing the BNP as the only real alternative and they will continue to do so until their issues are properly addressed. You can watch the programme here on iPlayer, or a cut down version here from the Guardian. Will Hawkeye be the next US President? People that know me will already be aware that I’m a massive fan of The West Wing – the US TV series with Martin Sheen playing President Josiah Bartlett. Well I’m now onto the final series of the box set I treated myself to at Christmas (I’m really proud of myself that I’ve managed to spread it out this long – there was a danger I’d watch them all within about 2 weeks). In this final series we are concentrating a lot on the race to succeed President Bartlett. The Democratic nomination was won by Congressman Matt Santos (played by Jimmy Smits), while it’s Senator Arnold Vinick who is the Republican candidate (played by Alan Alda). 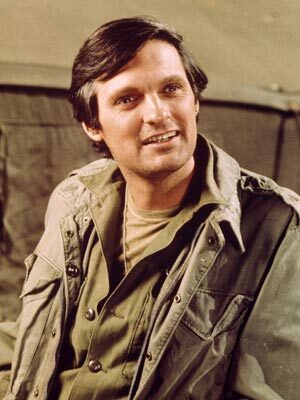 And what’s interesting about this is that I’ve had a real soft spot for Alan Alda ever since he played one of my favourite TV characters of all time – Hawkeye Pierce from M*A*S*H.
So even though all the main characters from the show are Democrats, even though Santos is meant to be ‘our guy’, even though I naturally lean to the Democrats anyway – part of me wants Hawkeye to win. And that got me thinking about politics. Is it really as simple as having a great public image (and I use the term ‘simple’ partly in jest as I know that it can be very difficult to ‘create’ a great public image)? My local MP is Ken Clarke and while I’m not particularly a fan of his politics, from what I’ve seen I quite like the man – so I’m not unhappy to have him representing me. So is that what’s it’s about to get elected? Maybe it is and actually maybe that is where a lot of MPs are failing. I think most of them know that a good public image is important. But the key thing that I think most of them forget is that if you spend a huge amount of time and energy trying to create one it almost certainly backfires – you look like you’re trying to create an image and for the majority of the British public that is about the worst thing you can do. The main reasons I like Hawkeye Pierce and Ken Clarke (how many times have they been compared in the same sentence before?) is that they don’t try too hard – they just seem like nice guys. They seem like the kind of people who care about others, can get on with others, are genuine in their beliefs and would stand up for those beliefs – exactly the kind of qualities needed for an MP. So I wonder if Hawkeye will win – if you’ve seen it please don’t tell me. I realised that as I was writing this blog it was probably only fair that I told you a bit more about me. I’m not going to tell you my favourite colour or the name of my first cat or anything like that, but stuff that’s within the context of this blog and this discussion. So here’s a bit more about my politics. I’ve always been interested in politics: the nature of ‘serving’; trying to do what’s best for whoever voted for you (and those that didn’t); the negotiation and debate; trying to rationalise which issues can be discarded to gain a greater good and which have to remain. I’ve also always been interested in the politics involved in so-called everyday situations: the office; buying a car; discussions amongst couples etc. However, I’ve never been particularly interested in political parties. Traditionally I’ve been a Labour supporter – I remember watching the 1997 elections results from the US and being aware that history was being made and I was so far away. The benefit though, was that I could watch it until the result was obvious and then go out for dinner to celebrate. As a teenager I grew up under the Thatcher Government and detested that whole era. I detested the individualism and the class wars that Thatcher seemed to promote. Yet at the same time over the last few years I have become equally disillusioned with New Labour, especially over the dodgy dossier and the Iraq War. So that’s a very brief history of my political affiliations … for what it’s worth. PS – But of course this is nothing to do with my political views – I’m not going to be standing. It’s all about trying to allow other people to have their political views heard … and be represented by real people not parties.